Yes, I borrowed part of that header from a chapter in Hillary Clinton’s book. Interesting not simply for their historical perspective, a couple of articles that popped up today present cautionary tales. The first, a report from Time on how Russian hackers attacked Hillary Clinton and the Democrats, provides not only a blueprint of how that happened but also implies safeguards to be implemented in the future. While we, of course, expect that Democratic Party officials and future campaigns will improve security going forward based on this knowledge, there are precautions each of us can and should take as individuals. Cyberspace is where a lot of campaigning and organizing takes place, and in the 2016 cycle most of us here were using the internet in communication with the campaign. Any weak link in the network potentially endangers the community and whole operation. We all have an obligation to keep ourselves and each other secure. So although this is a long read (save it for weekend brunch perhaps), it is a must read. We all go forward better armed if we are informed. (WASHINGTON) — It was just before noon in Moscow on March 10, 2016, when the first volley of malicious messages hit the Hillary Clinton campaign. The second article, from The Daily Beast, is shorter but equally important. A character sketch of a Russian troll who fooled many, some of them very smart, prominent people, it provides some insight into an how an individual online troll profile appears, communicates, and corrals the unsuspecting into its sphere of influence. Readers here know that I have been on a campaign to warn folks about an eastern European troll I uncovered and the troll characteristics I discovered in tracking down this entity. Hillary Clinton is Not Your ‘Mama’ – Stop Calling Her That! I was gratified to find that the Daily Beast article portrayed a character more similar to ‘my troll’ than not. Jenna Abrams had a lot of enemies on Twitter, but she was a very good friend to viral content writers across the world. Her opinions about everything from manspreading on the subway to Rachel Dolezal to ballistic missiles still linger on news sites all over the web. “Thank goodness, then, that there are people like Twitter user Jenna Abrams to come to the celebrity’s wardrobe-lacking aide,” reads a Brit & Co. article from March of 2016. Those same users who followed @Jenn_Abrams for her perfect Kim Kardashian jokes would be blasted with her shoddily punctuated ideas on slavery and segregation just one month later. Unlike hackers who seek to breach secure gateways and capture guarded information, trolls seek to gather an audience and influence it or elicit a reaction, usually emotional. While you in fact know little to nothing about them – their location for instance, their actual nationality, who they really are – they learn a lot about you! Your location, your opinions, even your habits. So much about Jenna Abrams was similar to ‘my troll’ that they could be sisters. The trademark of the troll: targeting an emotional response. These are just a few similarities I noticed. If you campaigned the way I did, then you probably at least doubled your Facebook friends and those you follow on Twitter in the course of the 19 months of the 2016 election cycle. It was impossible to spend a lot of time checking deeply into friend requests, and we wanted all the friends and followers we could muster to get people involved. It would be foolhardy to try a deep check on every new friend. When you read the Daily Beast article and also my post about Facebook friends, you get an idea of how a foreign troll impersonating an American can trip an alarm and why it is important to identify them. 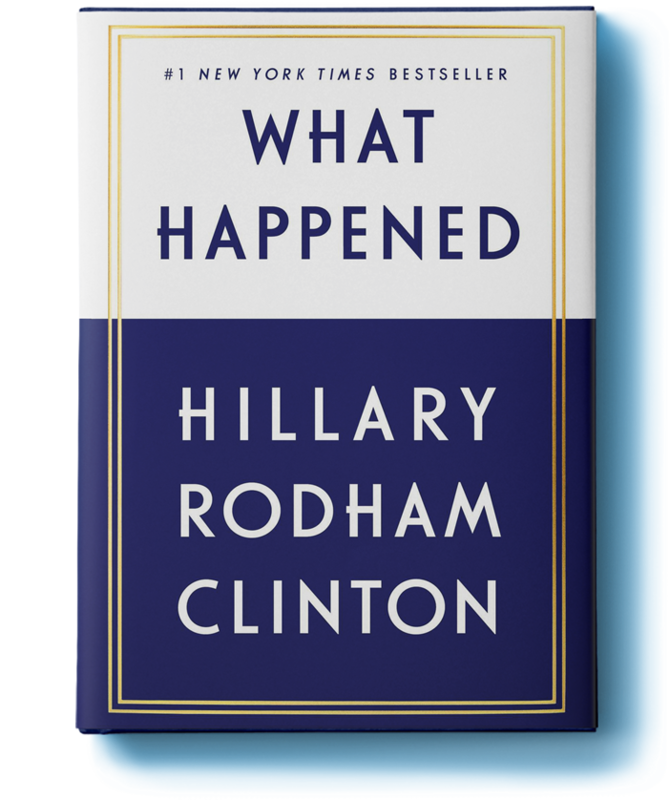 In chapter 11 of Hard Choices, Hillary Clinton discusses Vladimir Putin blaming her for Russian civil unrest following the December 2011 parliamentary elections. By December of 2016, accounts began appearing in the press attesting to Putin’s interference in our election as a direct response to Hillary’s purported influence over the Russian protestors. Now, The Hill reports that U.S. intelligence sources heard and transcribed a Russian intel agent bragging about his organization targeting Hillary. U.S. spies reportedly heard a Russian military intelligence officer bragging about his organization planning to target Hillary Clinton in May 2016. The officer told a colleague that GRU would cause havoc in America’s presidential election, Time reported Thursday. The officer reportedly described the intelligence agency’s effort as retribution for what Russian President Vladimir Putin considered Clinton’s influence campaign against him while serving as secretary of State. Senior U.S. intelligence officials told Time that American spies transcribed the conversation and sent it to headquarters for analysis. Time reported that an official document based on the raw intelligence was then circulated.“We didn’t really understand the context of it until much later,” a senior U.S. intelligence official said. Putin publicly accused Clinton of conducting a major operation against Russia when protests erupted in more than 70 cities in 2011. Jim Young—Reuters Hillary Clinton speaks during the second official 2016 U.S. Democratic presidential candidates debate in Des Moines, Iowa, on Nov. 14, 2015. Climate change threatens every corner of our country, every sector of our economy and the health and future of every child. We are already seeing its impacts and we know the poorest and most vulnerable people in the United States and around the world will suffer most of all. Despite the seriousness of the threat, the world has not always rallied to respond. For years, international negotiations were stymied by deep divisions between developed and developing nations, and by resistance on the part of the Chinese and others to taking responsibility for curbing carbon pollution. While President Obama has made strong progress cutting pollution and deploying more clean energy in the United States, he faces a Republican Party that alternates between denial of the reality of climate change, defeatism about our ability to do anything about it, and outright obstruction of the tools and programs we need to solve the problem. Since the first of the year, we have seen Hillary Clinton only twice. Both appearances were at inaugurations of candidates for public office who had worked for her in the past and whom, out of loyalty and friendship, she had endorsed and campaigned for: N.Y.C.Mayor Bill de Blasio and Virginia Governor Terry McAuliffe. There should be nothing surprising about that support. She knows who her friends are even if staffers perceived the political field to be so complex that they needed to develop a nuanced spreadsheet. She has been keeping a very low profile for weeks to the infinite frustration of the media. News outlets appear to be convinced that without Hillary somehow in the spotlight print outlets will receive no traffic and cable channels no viewers, and so Hillary’s fate, at present, is to be ever-present even while she very likely works hard on the draft of her book behind closed doors. 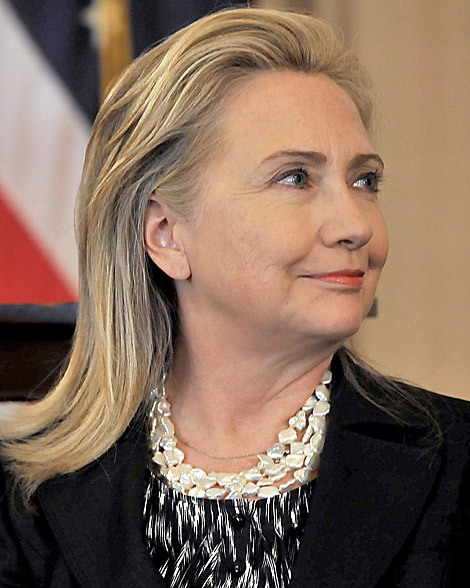 Her “shadow campaign,” her “hit list,” and, of course, “Benghazi, Benghazi, Benghazi” currently dominate the rumor mill that perpetually spins thanks to a stream swollen with concern, rumor, and possibly fear. What’s she up to? Why isn’t she speaking out? Where is she? etc. etc. etc. At some point in the future we may read what she considers to be her ultimate statement on Benghazi which is unlikely, given her consistency, to differ much in substance from this one in October 2012. QUESTION: You say you don’t want to play the blame game, but certainly there’s a blame game going on in Washington. In fact, during the presidential debate, Vice President Biden said, “We didn’t know.” White House officials calling around saying, “Hey, this is a State Department function.” Are they throwing you under the bus? SECRETARY CLINTON: Oh, of course not. Look, I take responsibility. I’m in charge of the State Department, 60,000-plus people all over the world, 275 posts. The President and the Vice President certainly wouldn’t be knowledgeable about specific decisions that are made by security professionals. 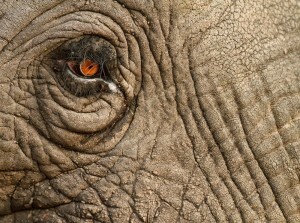 They’re the ones who weigh all of the threats and the risks and the needs and make a considered decision. What exactly is it that the media wants from Hillary Clinton? What is it that the public wants? Certainly her critics appear to want their pound of flesh and blood. Among her fans, there are those who similarly would exact additional blood, sweat, and tears beyond what she has already donated over 40+ years of public service whether or not she decides to take up the standard once more. (Others more patiently await her deeply personal decision to be made in her own good time.) And then there is the press. Their blonde obsession with Hillary, no matter what the story, sells, brings on traffic and viewers. So it should come as no surprise that keeping her in the headers and on the covers becomes the story in the absurdist world that is called mainstream media. 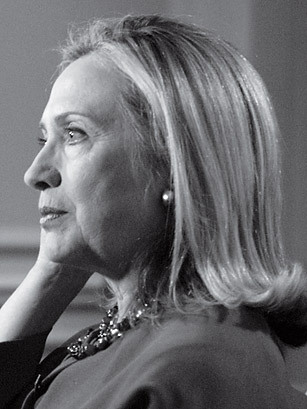 Hillary Clinton has not decided whether to run for President again. I have this on good authority, despite a recent barrage of reports detailing the many moves that signal a campaign in the making. People close to Clinton and familiar with her thinking insist that she hasn’t made a decision. Perhaps it all comes down, in Clintonian fashion, to definitions. 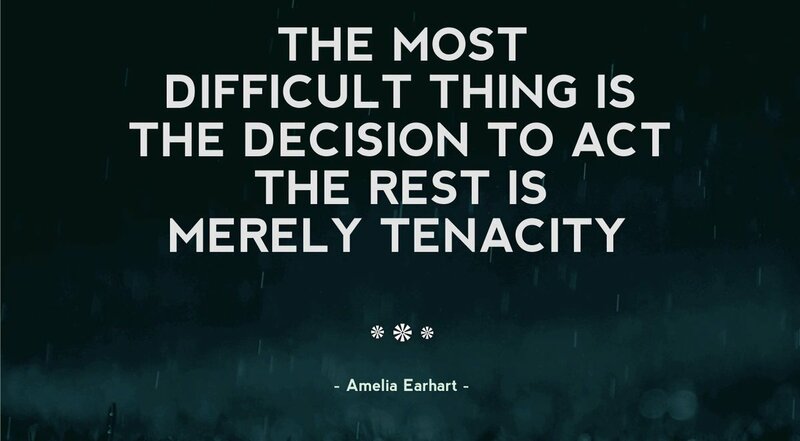 It depends on the meaning of the word decide. And on the meaning of the word run. In Hillary Clinton, the United States of America is now experiencing a rare, if not unprecedented, political phenomenon; she requires a new lexicon. Clinton is so globally famous, so politically wired and so primed for the presidency after two campaigns at her husband’s side and one epic race of her own that her life as a private citizen has become virtually indistinguishable from her life as a candidate. The truth is that this life as a private citizen is eminently distinguishable from life as a candidate. Through her Clinton Foundation outlet she does, in fact, keep us informed of her issues and initiatives. Her public speaking events provide her a platform on current events as she chooses to address them (or not, as is her prerogative since she is neither a public servant nor an announced candidate for anything beyond grandmotherhood). Yet the media continues to focus, not on what she actually says and does, but rather on the issues she selects not to address (e.g. the Iran deal) and the initiative she has not resolved to assume. There is only one possible outcome to this media frenzy, and that is invention. Reportage becomes a creative process and fiction ensues. 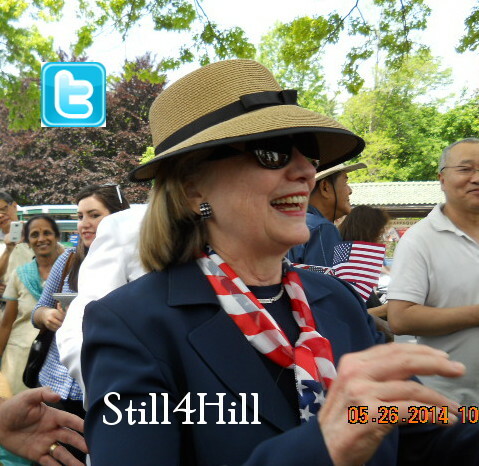 Clinton has not decided whether to run for President because to do so would only slow her down. Indecision serves her well by preserving flexibility in her schedule, by shielding her from answering every Internet controversy and by allowing the Republican opposition to take shape and draw fire. Really? Mr. Von Drehle knows why she has not yet decided? File under “fiction.” Stop her? From what? Time Magazine is out with its 100 most influential poll, and, of course, the Clintons are on the list. 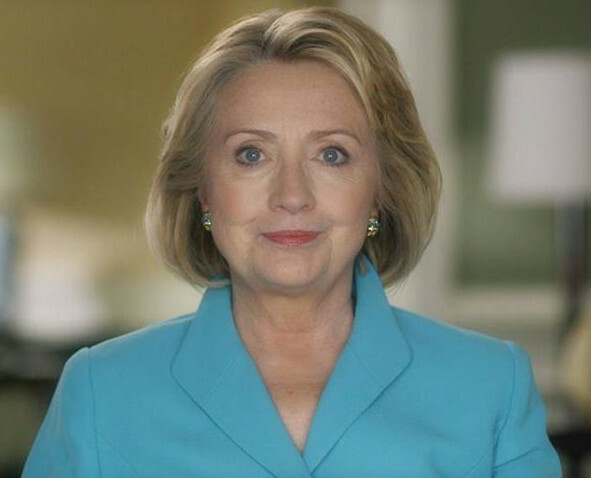 Vote 4 Hillary … Now! It’s time to vote again – for Time’s Person of the Year. Click the link at the bottom of the article to vote. 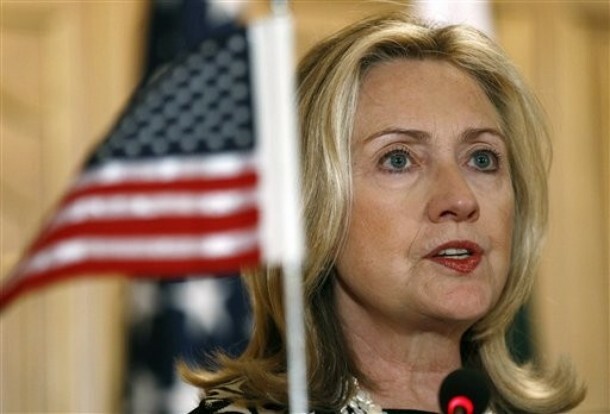 Hillary Clinton’s failed run for the 2008 Democratic presidential nomination left her public image dented. Four years later, she looks stronger than ever. 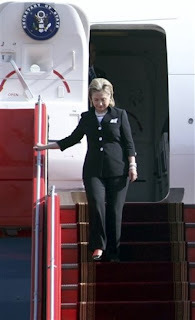 The Secretary of State, 65, enjoys sky-high approval ratings and even has a new cool factor, thanks to the Tumblr blog “Texts from Hillary” (which was based on TIME photographer Diana Walker’s famous shot of a sunglasses-wearing Clinton reading her BlackBerry on a military plane). Not that Clinton’s final year as America’s top diplomat has been frivolous. An attack on a U.S. consulate in Libya took the life of Ambassador Chris Stevens, the first ambassador killed in action in 24 years. That put Clinton in the hot seat over diplomatic security, which she has made a priority during her final months in office. (Clinton says she’ll stick around until her replacement is confirmed.) Meanwhile, she has been juggling other crises in the restive Middle East, from working to unite the fractious Syrian opposition to plunging into the November conflict between Israel and Hamas in Gaza. 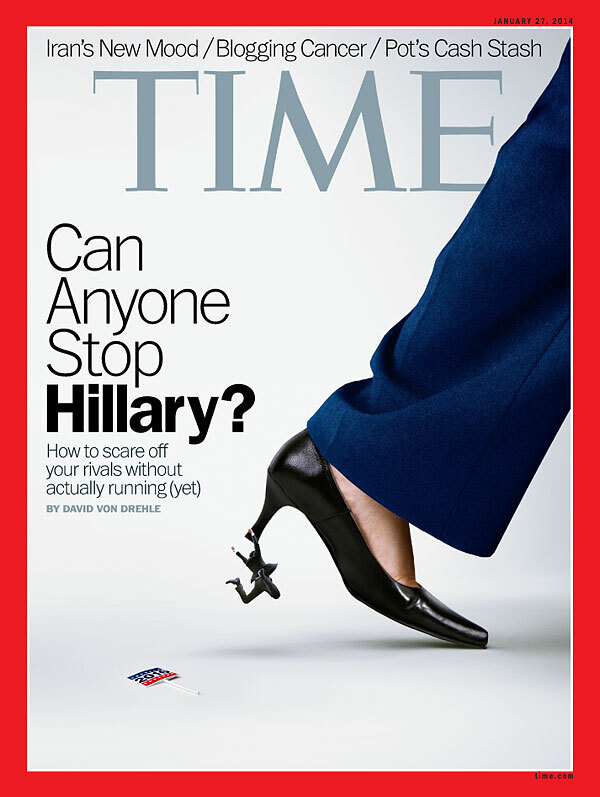 Once again among Time‘s “most influential,” our Hillary is riding a rising tide of popularity. This year’s tribute was penned by former Secretary of Defense Robert Gates, a close collaborator of hers during their shared tenure with the administration. 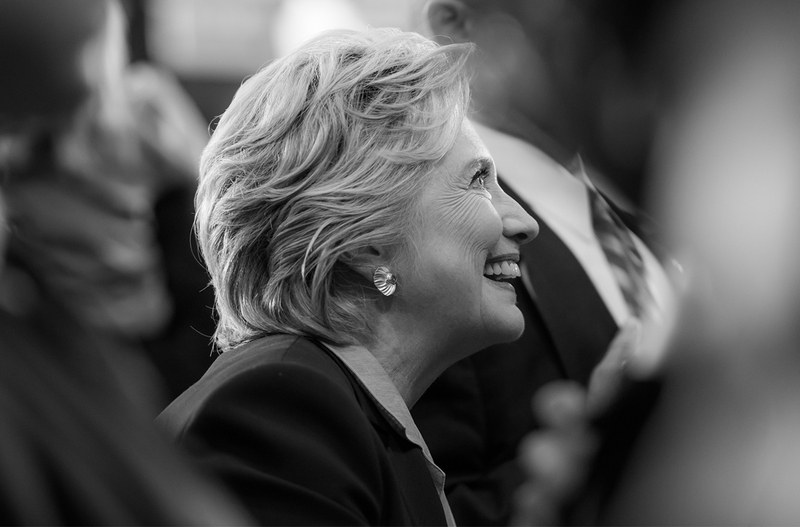 In a world that is ever more complex, turbulent and dangerous, Secretary Clinton, 64, has made a singular contribution to strengthening this country’s relationships with allies, partners and friends; rallying other countries to join us in dealing with challenges to the global order, from Libya and Iran to the South China Sea; and reaching out to people in scores of countries to demonstrate that America cares about them. We did not really need Time to tell us how influential Mme. Secretary is, but the recognition is always appreciated.